Sweetie Nair is fat. She doesn’t care, but her mom cares. Like, a lot. A lot a lot. Definitely too much. So much that so when Ashish, a hot local boy from a good (and crazy rich!) Indian family tries to date Sweetie, Sweetie’s mom shuts it down. But Sweetie won’t give up without a fight, and so she, Ashish and Ashish’s parents hatch a plan in which the kids will go on four dates. If it works out, they’ll tell Sweetie’s parents. If not, no harm done. Plus, what can happen in four dates? Turns out, a lot. If you’ve read any of Menon’s other books, this one is completely on brand. I’ve read her other two books, and this one might be my favorite? It’s up there with Dimple, for sure. It’s a funny romantic comedy with endearing, mostly believable characters from a culture that’s different from mine. In addition to reading an adorable book, I get to learn a little bit about Indian Americans. This one has an added element of pointing out our society’s horrible ways of treating fat people. The way a folks react to Sweetie will have you seeing red – but you know it’s unfortunately totally realistic. Luckily, Sweetie is a self-confident young lady, and it was a joy to see her grow throughout the book. Ashish isn’t too bad himself! He has a very believable journey through the course of the book, and was a male lead you could root for even as he made a few terrible decisions. TLDR: If you’re looking for a light, funny and very swoony read, this one will do it for you. I know it put a smile on my face. Thanks to Netgalley and Simon Pulse for the advance copy, which I received in exchange for an unbiased review. 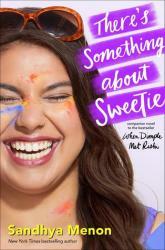 There’s Something About Sweetie will be available for purchase on 14 May – don’t forget to put your copy on hold! it! If I could I would give this book 4 and a half stars! An excellent introduction to Greek mythology and adventure, Percy Jackson and the Olympians provides an engaging storyline and an interesting set of characters. Perfect for early interest in literature and mythology alike, it is one of my first favorite series of books. 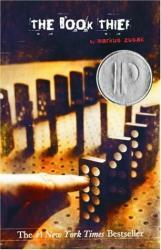 Although it's a childish book, it attracts readers of all ages with its fun dynamics and interesting plot line. It is a clever modern twist on traditional stories. I would recommend reading for ages 9 to 12, but it can be enjoyed at any age. 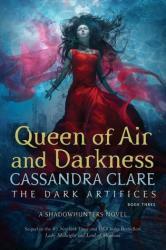 The final installment of The Dark Artifices series by Cassandra Clare brings with it new mystery and adventure, as well as new love. Packed with action and intrigue, the book showcases a return of Annabel, as well as new characters, and the favorites you have grown to love. This book is my favorite of the series, and a good read that will last you either as long as you want it to or go by as fast as you can read. The characters are inclusive and diverse. It is fun and easy to get sucked into. Recommended for ages 14+. 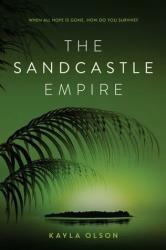 The Sandcastle Empire is a future dystopian novel dealing with the effects of global warming and the impact of classicism. This book follows a high school age girl named Eden and her escape from a work camp, discovery of an invisible island, and fight to survive in a world that has turned to the wolves. I loved this book because it focuses on what could happen in the future with global warming, the flooding of the continents, and the lack of clean water. 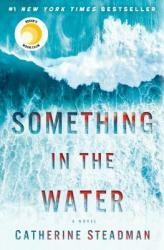 I really enjoyed the mystery of this book and the aspect of survival in the worst situation. The author also included interesting organic technology ideas that would be interesting to actually explore in the real world. Overall, this was a phenomenal book and I would highly recommend this book for dystopian novel lovers. 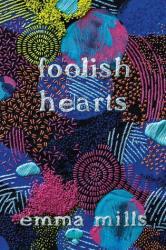 Foolish Hearts is your typical YA high school drama. With a mean girl, break ups, friendships, and broken friendships, this book is not a new story. I thought the storytelling and the characters were interesting and it is a well executed book but I've read this story before. Another critique that you can't get away from when writing high school fiction is that the characters are not very believable. I know that if the characters aren't dramatic and larger than life then it wouldn't be an interesting story, but as a high school student the situations are just so unbelievable and dramatized. I did enjoy the inclusion of LGBTQ+ characters and it just being a casual thing but this book is not one I would read again. "Cinder" is the first novel in Marissa Meyer's Lunar Chronicles. 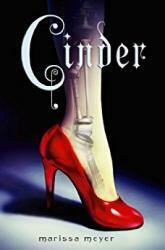 "Cinder" tells the story of Cinderella- with a twist. Cinder is a cyborg who lives in the future with her robot friend Iko. The story holds true to the classics fundamentals- a prince, wicked stepmother, (though only one wicked stepsister), and a royal ball- while keeping the reader on their toes with fun twists. The series is known as The Lunar Chronicles because of some vital characters. In this future, rather than populate Mars, humanity settled for a closer goal- the moon. A separate society known as Luna emerged, as well as extraordinary abilities. The main antagonist herself hails from Luna. Queen Levana is bent on a marriage alliance with The Eastern Commonwealth (modern day Asia), and Prince Kaito is doing everything he can to hold her off, while also trying to earn Cinder's affection. The Lunar Chronicles is filled to the brim with memorable characters, fun, and plot twists to keep you on the edge of your seat. I would highly recommend "Cinder" by Marissa Meyer. 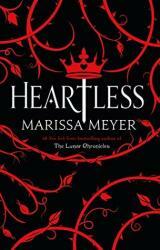 "Heartless" by Marissa Meyer is near the top of my favorite books list. The book tells the story of Catherine, future Queen of Hearts in Wonderland BEFORE she was queen. Normally romance isn't my cup of tea, but the suspense from the very beginning kept me hooked. Marissa Meyer does a fantastic job of weaving her story with the original; including some of the old cast (The Mad Hatter and Cheshire Cat, for instance) while giving us fresh characters who will steal your heart (Catherine, Jest, and The Sisters). I found this book through my love of other Marissa Meyer novels like the Lunar Chronicles. 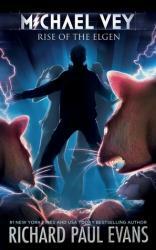 I would definitely suggest it to any teenager looking for a fun twist on a classic story. This book follows a young boy who watches his mother struggle against cancer. He is visited by a monster who transforms from a tree into a walking, talking being, and he begins to take advice from the monster. 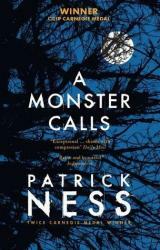 He lets the monster be what he feels and thinks about the situation his mother is in; if he is angry, the monster prompts the boy to punch another boy. The monster is a representation of his anxieties and inability to cope with reality. However, the monster is also a companion and an outlet for the boy. The monster is a way for the boy to express all of his emotions and to talk out the struggles he is facing. At times, he appreciates the monster, and other times, he hates the points the monster bring up. This book is very complex in its analysis of suffering and coping mechanisms, and is a truly wonderful read. While sad, the message of the book and the realizations the reader has make the point a phenomenal representation of human nature, and the monster a representation of all that people keep bottled up inside. Ultimately inspiring, I would recommend this book for anyone interesting in a deeper understanding of the human reaction to grief, loss, or conflict. I would give it five out of five stars. "Doll Bones" by Holly Black is about three friends who go on a journey to return a haunted doll to her grave after taking it out of one of their mom's china cabinets. Zach, Poppy, and Alice play a role-play game in which the doll is "the queen'. The doll is made from a young girl's bones and her wishes are to be returned with her family at the grave site so all three of them go on an extensive journey to do so. In the process Zach, Poppy, and Alice meet strange people which leads them to almost give up. I would recommend this book. "Doll Bones" was really fun to re-read and was just as exciting as the first. Originally, I read the book for Battle of the Books in third grade but I read it again because I liked it. I couldn't relate to the characters however I think other people could. 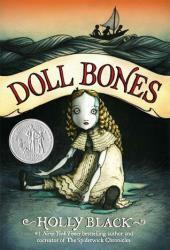 "Doll Bones" is not predictable and was not the best book I have read this year despite it still being a good book. 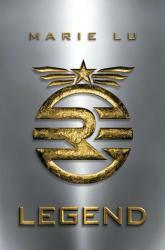 Legend by Marie Lu is a dystopian novel that illustrates the story of two characters, each with a major difference that sets them apart. Born in different districts of wealth, 15 year old June is a prodigy that is on the path to becoming a military officer of the Republic. On the opposite end is the 15 year old Day, who is born within the poor districts of the Republic and is the country's most wanted criminal. When June's brother, Metias is murdered, Day is the main suspect of the murder, leading to June to seek upon to avenge her brother's death. Once June meets Day, they both begin to realize and uncover dark secrets of the Republic. Legend is consistently full of action and suspense. With a twist of romance included, it provides a rich story with a variety of thrills and tense moments in the story. The likable characters and a well structured plot, it moves at a perfect pace that keeps the adventure enjoyable and interesting. The second book of the Michael Vey series is not a disappointing sequel. 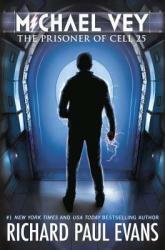 In the book Rise of the Elgen, Michael Vey, the Protagonist is still looking for his mother. In the first book his mother had been captured by the Elgen. The Elgen are a group of people who want to take over the world. I found this book to be very unpredictable most of the time. However, there were a few times where it was not difficult to figure out what was going to happen. One of my favorite characters in this book is Ostin (pronounced like Austin). Ostin, who is extremely intelligent, is relatable as he is gets picked on because he is a little different. Yet, Ostin is very strong minded and one of the smartest characters in the whole book. What I like most about this series is it has very original and unique characters. This book is one of the top 10 books I have read this year. In the book The Prisoner of Cell 25, Michael Vey, the protagonist, who has the power of electricity discovers that their are others like him. He decides to find the others but Michael’s mother gets kidnapped and he must rescue her. It turns out that his mother is held at the same place as the other kids that share his powers. 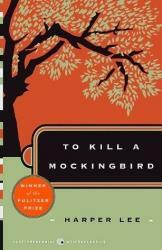 I picked this book because my English teacher read it to the class and I liked it so I went ahead in the book. This book was slightly predictable at points. Ostin Michael’s friend Who is very smart is relatable as he is anti social but intelligent. This book is by far the best first book in a series I have ever read. In the book, The Hunters, Hal, the protagonist finds himself still going after the Andomal like in the previous book, The Invaders. This Andomal is a sacred artifact and treasured by his people in his country, so Hal must retrieve it. The thief of this treasure, Zavac, whom Hal has been pursuing for awhile now has fled into a pirate haven. Hal has no idea how to get the Andomal if Zavac is in this haven. This book was full of surprises and rarely predictable. I enjoyed this book because Hal finds a very creative way to try and win the Andomal back. Again, Hal uses his intelligence rather than his strength to overcome his difficulties. That is what I like most about Hal, how he uses brains, not brawn. So far, I feel this is the best book of this series, The Brotherband. 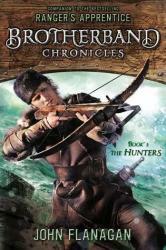 I would recommend this book series to anyone who has read the Ranger’s Apprentice. The author, John Flanagan is one of my favorite authors and I have read almost all of his books because I find them exciting and they keep the reader wanting to read more. The book "Everything Everything" by Nicola Yoon is about a girl named Maddy. All she wants is to go outside and see the world, but sadly, the only 'outside world' she will ever be apart of is her colorful sun room. Madeline has Bubble Baby Syndrome, a condition where anything could cause her allergies to go crazy. However, when she notices a new neighbor named Olly, she can’t wait to talk to him…. through iMessage. However, texting isn’t enough, she needs to see him in person and be next to him. As the story unfolds, Madeline will find out a secret that will change her world forever. 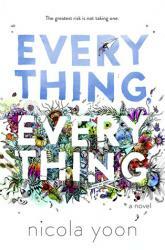 "Everything Everything" was such a good book and I would love to read it again. Each and every character has their own unique personality, which make them more relatable to different people. I am so thrilled to be able to read more of Nicola Yoon's books and hope that they are just as good as "Everything Everything"
The book "The Red Pyramid" by Rick Riordan is an excellent read for pretty much any age group. The main characters, Carter and Sadie Kane, embark on their first adventure in this book. When their dad accidentally summons an Egyptian god and is entombed in the Underworld, these twins must risk everything to find him. With the help of their mysterious uncle, Carter and Sadie must practice using their hidden magic to defeat anything in the way of them and their father. 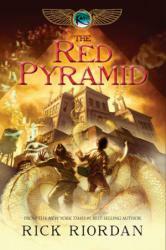 "The Red Pyramid" is an amazing story with lovable, relatable characters and the ending will want you craving more!! I enjoyed this book and when I finished it in 7th grade, I was glad to find out that there were two more books in the Kane Chronicles. "The Red Pyramid" is suspenseful and you will not be able to put it down. 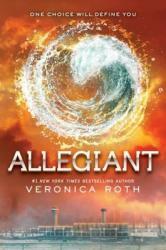 I loved all the characters in this book and have already read it three times. The main reason I chose this book was because one of my friends recommended it, and I am so happy I decided to read it!! The whole book was exciting and I would be happy to read it a fourth time. 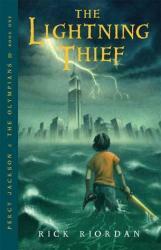 I am excited to read more books by Rick Riordan and hope they are just as great as this one.